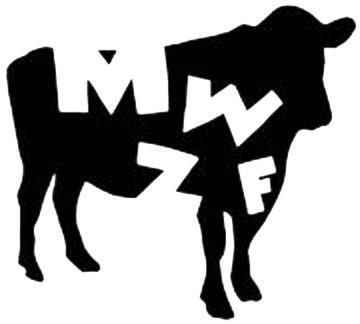 The Midwest Zine Fest is a gathering of zine-makers, authors, speakers, musicians, and other rad people for the purpose of celebrating zines and zine culture! The festival will include interactive events, food, speakers, music, and plenty of zines. The festival is open to the public and admission is free. Keep reading to get more in-depth info about the Fest, and hear what Chris Ritzo, one of the Midwest Zine Fest’s coordinators has to say about this awesome event. Urbana Public Art: For those who don’t know already, can you please explain what a zine is? Chris Ritzo: Adaptation from Wikipedia: A zine is a small circulation publication of original or appropriated texts and images. More broadly, the term encompasses any self-published work of minority interest usually reproduced via photocopier. Popular definitions maintain that a zine’s circulation must be 5,000 or less, although in practice the significant majority are produced in editions of less than 1,000, and profit is not the primary intent of publication. Zines are written in a variety of formats, from computer-printed text to comics to handwritten text. While print remains the most popular zine format, many zines are published electronically online. UPA: Why are zines important in an age when so many things are digital? CR: This is a question that everyone asks these days. Sure, there are blogs, websites, etc. and plenty of people who write zines also write blogs. But print is still alive & well, & there are plenty of instances when digital or online tools aren’t a good match for the work or the intent of the author. The immediacy of print is apparent for instance when you have an audience that isn’t online or is assembled in a specific physical place. Also, the idea that we’re in a time when everything is digital and everyone is online is also something of a fallacy. Plenty of people aren’t online. The idea that everyone is or should be online is a perspective based on privilege. Beyond the fact that not everyone can afford to own a computer and have high-speed internet access at home, most of the people who are online aren’t creating content online as much as consuming it. And if you are interested in creating content online, you face a fairly steep learning curve. There’s a lot of tools and platforms out there to help people publish online, but in the end you can get your ideas out faster and with more creativity using a zine. UPA: What sort of activities go on at the Midwest Zine Fest? CR: There will be plenty of people who’ve reserve tables who will be selling and trading zines, stickers, buttons and other things they’ve made. We also will have several guest speakers discussing various subjects. You can check out the topics on our website. You can tour the IMC’s zine library and check out more zines there. And you can also watch a short documentary called Zined! which gives a bit of history about zines. UPA: Can I learn how to make my own zines at the Fest? CR: You sure can. There will be what we call an open skillshare space, where at least a few people will be sharing how to make zines, different formats, and ideas about zine content. Anyone who comes to MidWest Zine Fest can learn to make a zine, and we’ll be making a collaborative zine throughout the day. You can create your own page to go into it! This entry was posted in Uncategorized and tagged art, fest, grants, midwest, public, urbana, zine. Bookmark the permalink.